Diversity is the name of the tasting game for Dave Broom this week, as he takes us on a sensory tour of Ireland and Scotland, including five single malts and one single pot still whiskey. We start north of the Irish border, close to the Antrim coast at Bushmills, with a pair of single malts aged for 16 and 21 years respectively. Broom finds them both delicious, although he has slight reservations over the pricing of the 16-year-old. 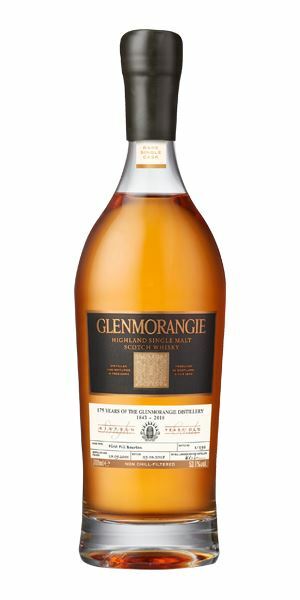 Glenmorangie’s latest release is hardly cheap either (£650 for a 16-year-old single cask single malt), but Broom is happy enough to praise its ‘heady, hedonistic’ charms. And, after all, it’s not every day that you celebrate your 175th birthday. 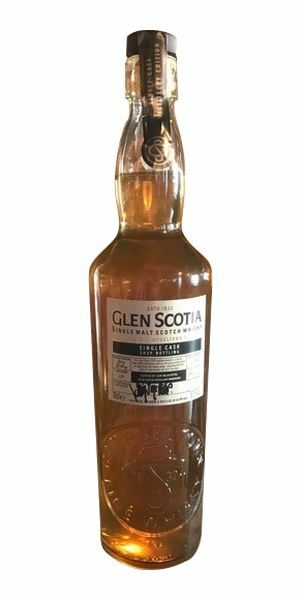 From Tain in the eastern Highlands, we trek all the way west to Campbeltown, and a medium-peated Glen Scotia that’s theoretically only available from the distillery shop. It’s a belter of a dram for £75 – or you could visit a certain online retailer and pay more than twice that sum. Your choice. 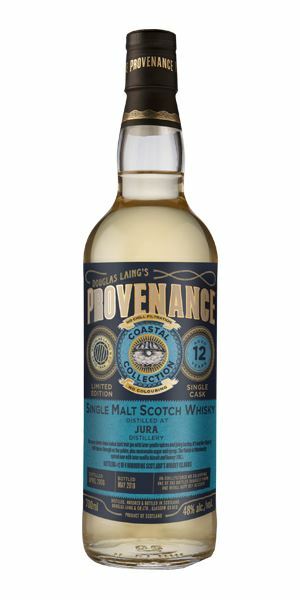 Let’s move swiftly on and head further west to Jura for the second release in Douglas Laing’s Provenance Coastal Collection. 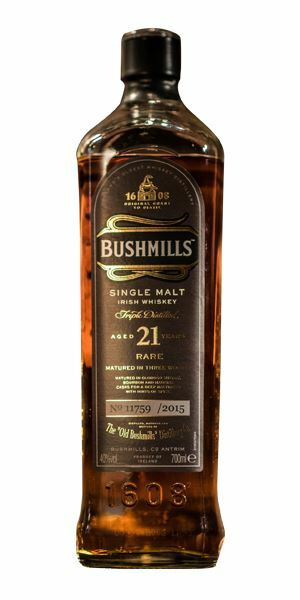 This 12-year-old single malt may showcase the distillery’s tendency towards rigidity, but it’s nonetheless a ‘fun’ glass, says Broom. 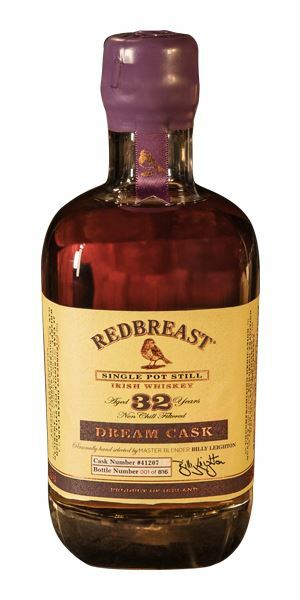 Back to Ireland to close, and another remarkable whisky from Irish Distillers’ Redbreast range. This 32-year-old has been bottled from master blender Billy Leighton’s favourite cask and, if it also seems slightly expensive at €500 for a 50cl bottle – well, what value do you place on dreams? Very vinous. In fact, it’s almost like a New World Pinot Noir with its slightly jammy red and black fruits, mixed with fresh, sweet oak (albeit with added buttered malt loaf). There’s tayberry, raspberry, strawberry (some reduced to a syrup), while water adds in some coffee elements, and more dried fruits and violet as the Sherry comes in. Remains fresh and berry-driven, however. 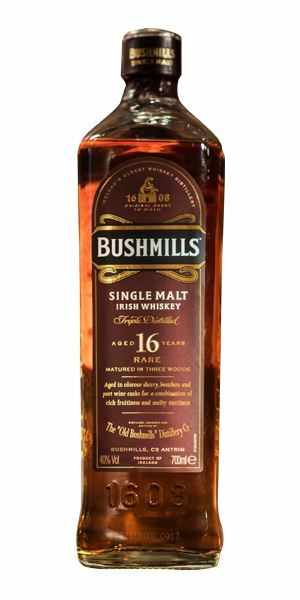 A combination of three woods: Bushmills matured in Sherry and Bourbon casks, then married for nine months in Port. Delicious (though I’d love to see it at 43%). A little pricey. More serious than the 16-year-old, this is filled with the tropical fruit note that you pick up on some aged Bushmills, this time mixed in with sweet, date-like fruits, rich cling peach/peach cobbler and rhubarb crumble with Demerara sugar – all balanced with a little crunchy nut. Becomes herbal with water, alongside some pomegranate molasses and waxiness. Big, sweet, deep – and mature – as the dried peach and apricot mingle with polished furniture and raisin, all of it balanced by heavy, rich Morello cherry. Water increases the thickened sweetness, shifting things to crème de mûre/cassis, with the oak elements offering background support. Coffee icing, some malt. Rich and powerful. A vatting of Sherry- and Bourbon-matured whiskey, married for two years in Madeira casks, there’s real maturity and richness to this. Recommended. …keep going and soon you’ll be feeling Fine and Mellow. The fresh fruit which is always present in ’morangie has been upped here: a luscious explosion of tropical fruit punch, including passion fruit, papaya, guava, mango – plus a little fresh raspberry, tangerine jelly and a sprig of mint. In time, there’s agave nectar and wild flower honey with a sprinkling of nuts. Water brings out buttery biscuits, lemon meringue pie and more of the tropical fruits. As you’d expect, there’s masses of fruit, but also now some heavy jasmine notes. The texture is like thick Greek yoghurt with pine honey, while bursts of fresh kumquat and some heat add a balancing pep. As it develops, so it shows increasingly mature depths. With water, there’s some red cherry alongside the passion fruit, some cinnamon toast and a heady buzz of pollen. Back to ripe fruit, with a hint of light char. A heady and hedonistic anniversary treat. The lotus eaters lounge on the beach, swaying to the sound of Samba. An immediate impact: grunty, smoky, oily and rich, with maritime elements (squid ink, smoked mussels) given some lift by lemon zest before it plunges back into a world of smoking beef dripping, which is itself balanced by an underlying sweetness. Like many west coast whiskies, it walks on the tightrope between the oily and the sweet which, when it works (as it does here), is a thrilling experience. When water is added, there’s even a respectful nod to the far north-east as it picks up Brora-esque elements of salt, lemon, leather and a farmyardy back-note. Remarkably mature for its age. The smoke hits quickly. Big and, yes, decidedly oily, though there’s now some more spice (helped by the high strength), with red pepper flakes to the fore, alongside overripe fruits and a burnt cereal element. It churns and roils around in the mouth. Water adds in linseed oil, dry peat smoke cut with dried flowers, and bitter chocolate. A head-spinning swirl of Ethers. Fresh, breezy and malty, with rice flour, limoncello and a creamy sweetness behind. In time, there’s dried lemongrass and even a hint of oiliness, backed with some toasted hazelnut. With water added, after a slight spirity note, things become progressively sweeter – and softer: warm hay and acorns. The soft start continues into the mid-palate, where you get touches of pannacotta before the underlying rigidity (typical of Jura) begins to come to the fore, adding in dry grass and more nuttiness. Adding water brings out more gentle, cask-derived elements, along with a late burst of milk chocolate. Lightly malty with a little spice. As sweet and dry as a Wind-blown Waltz. The extra age has sent everything here far down the road to reduction, so you get highly concentrated fruits, the bitter twang of marmalade, resin, old Cognac cellar, a library filled with old leather-bound tomes in heavy oak bookcases, fresh varnish, newsprint and blackcurrant shrub. A drop of water makes it slightly leaner and brings out an overwhelming note of sandalwood oil. A herbal and spiced start: bay rum, masses of clove, five-spice and green cardamom; then comes deep berry fruits, themselves bound up in leather. There’s power, length and great maturity here. The fruits at the core continue to bloom when water is added, alongside an increasingly exotic (animal hide) intensity, with touches of camphor and sweet liquorice root. A remarkable and potently powerful single pot still. It’s a style which might not be for everyone, but if you like extreme Sherry where the acidity sings, then it is for you. Take as a tincture. What a week! You wake up suddenly. There’s an East Breeze bringing promises of exotic riches. 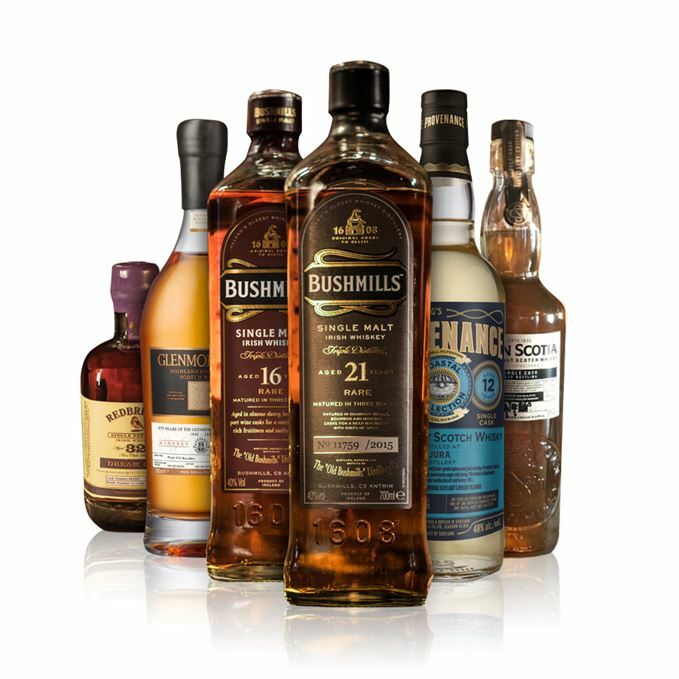 Batch 155 06/07/2018 A bevy of Bunnahabhains, including a resurrected bottler and a fascinating maturation project.